In urban settings, houses that are available with outdoor spaces aren’t that common. Owners of these houses should indulge in this blessing, and not just take it for granted by just leaving the great space unused. Outdoor spaces can be made functional by adding a few features. Having a functional outdoor space also gives your home an airy feeling – it makes you feel that you own a big house too! You don’t have to travel anywhere when you have a perfect everyday getaway just on the other side of the door. There are certain steps through which you can make your outdoor space more functional and eye-catching. If you want to make your outdoor space functional, then first decide what you want from that particular space. Whether you want a place that creates a relaxing ambience, a recreational space or play area for kids, fixing up won’t take much time if your decision is concrete. If you want a relaxed environment, you may want to install some form of shade to block the sunlight or if you want to enjoy the natural treat of the sun in winters, then you can get comfortable couches and colorful cushions. Many times, only de-cluttering shows you what a great space you have and how it can be used. 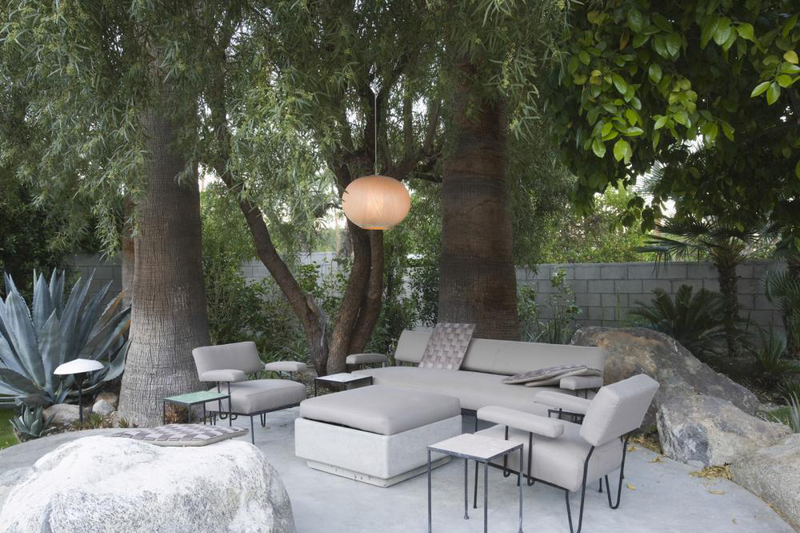 Only keep those plants, pots and outdoor furniture that can help in making the space a perfect open-air haven. Get rid of all those things that make your outdoor space look smaller and stuffy. A simple addition of paving can change the entire look of your outdoor space. Appropriate outdoor furniture with complementing paving will provide your outdoor space with an exquisite aura. Pick a darker color scheme of paving so that it can stand the continuous exposure to sunlight. If your area receives more than average rainfall, then a stone paving over concrete paving is more preferable.. If you have a small square area outdoors and you think that placing plants and pots will make it claustrophobic, you can instead use the concept of vertical gardening to add natural greenery to your outdoor space. Hanging baskets, wall pots and crawling floral plants are good options to decorate your outdoor space. Flowering vines can embellish the outdoor walls with natural graffiti. There are different outdoor furniture options that you can choose from. If you want to go with a traditional aesthetic design, then choose conventional wicker and bamboo furniture items. They are available in different colors, weights and price tags. If you want to spend more on your outdoor space furniture, then redwood and cedar furniture are good options because they give a fine, refined texture. They are also less prone to warping and pest infestation. If you are worried about the damp atmosphere in your patio or outdoor space, then you can get stone tables and wrought iron furniture. Acrylic tables and chairs are also reasonable options for your outdoor space if you want to get weather resistant furniture. If your outdoor space has a pool, then you can also go with a more highly water resistant option of furniture. Furniture made of teak hardwood or powder coated metal furniture are the best option in this scenario.